The Kennel Club definition of a Field Trial is ‘A meeting for the purpose of holding competitions to assess the work of gundogs in the field, with dogs working on live unhandled game, where game may be shot. A Field Trial should be as near as possible to an ordinary days shooting and the task of judges is to find the dog which on the day, pleases them most by the quality of it’s work from a shooting point of view. Natural game finding is the most important aspect of Field Trials. In HPR breeds a maximum of 12 dogs are allowed to run in a one day stake. Each dog, unless eliminated, must come under the judges twice as well as completing the water retrieves. Usually there will be three guns and the task of the dog is to quarter it’s beat, locate and point game, flush game on command and retrieve shot game on command. How well this is performed reflects on the dogs score. Depending on the type of ground and the wind conditions a dog may need to run 70 or 80 yards on either side of it’s handler in the open ground, i.e. stubbles, moorland, Spring wheat, but drastically reduce this when working in woodland. It is most important that the handler keeps in contact with their dog, but they should not be concerned to let the dog run wide and free in the rightonditions. In an ideal situation a dog hunts, points well and then retrieves of it’s own point, after the game it has pointed and flushed (on command) has been shot. However this sequence of events frequently does not happen! 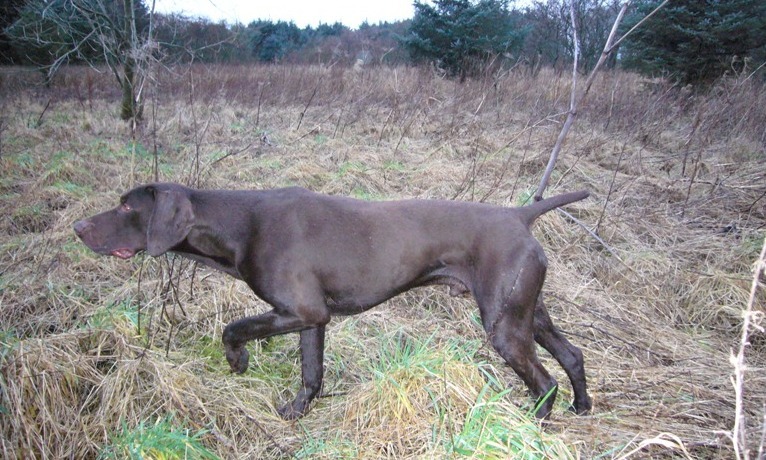 Through no fault of it’s own the dog may have a blank run – no game found; it may point and the gun may miss the flushed game; game may get up from ground not covered by the dog and a blind retrieve may then exist. 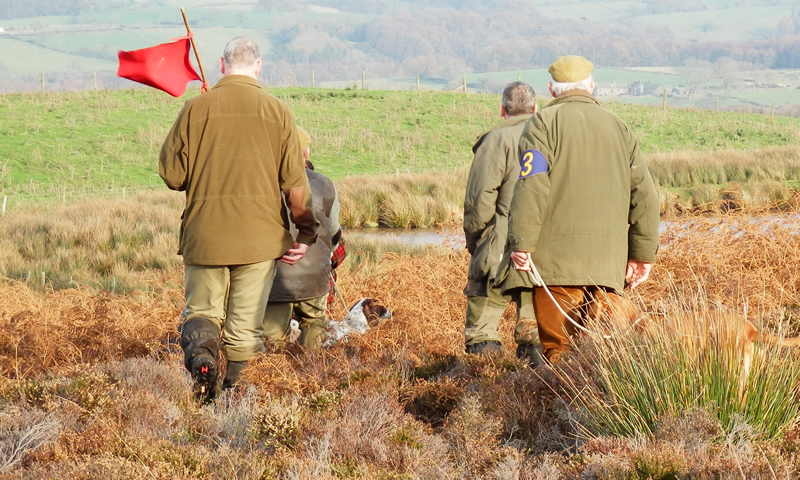 Dogs may be called in for a retrieve on game they have not pointed and so a dog should not be entered into a trial until it has learnt to deal with all these eventualities. If wishing to enter a field trial it is very important to read the Rules and Regulations of the promoting society and also as the Rules and Regulations governing Field Trials as set down by The Kennel Club. There are three different types of Field Trials often referred to as Stakes. Novice for dogs which have not won any of the following awards; first, second or third in an Open Stake, first or second in an All-Aged sStake or a first in a Novice Stake. The water retrieve in a Novice Stake is a seen (dead) pigeon thrown into water with a shot being fired, the dog is then sent on command to carry out the retrieve. An All-Aged Stake is an Open Stake with special conditions as laid down by the promoting society. In an Open Stake preference is given to dogs with the above awards (i.e. in Novice and/or All-Aged). The society may give preference to its own members under KC Rule, J7(j1,2,3,4,5). The water retrieves in Open and All-Aged stakes are unseen, across water (which may be a pond, a relatively narrow canal or a river in flood! When asked the dog must enter water, swim across and retrieve the bird and return by the same route if practical. If a bridge is close by and the dog chooses to return by this route it Will Not Be Penalised. 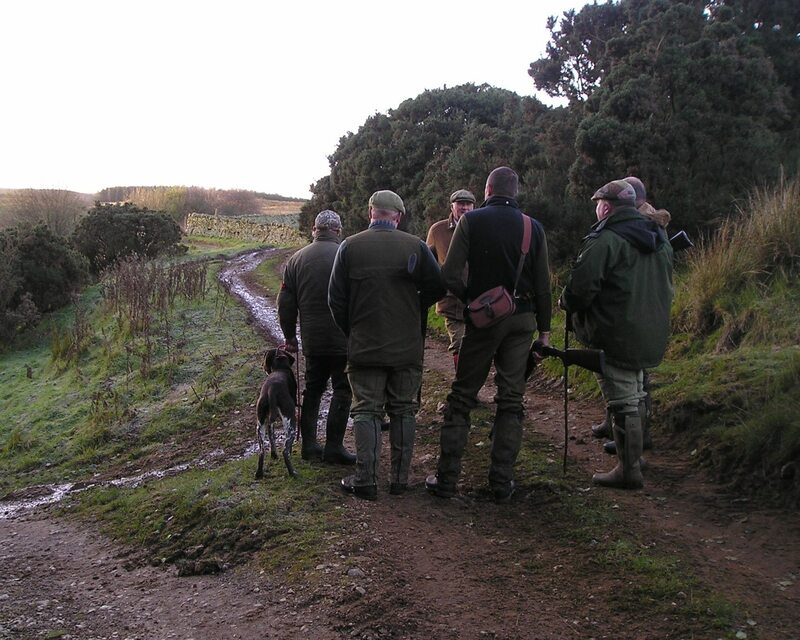 Field Trials are held during the Shooting Season, from the 12th August to 1st February inclusive. Before the start of the season the Field Trial Secretary will have arranged a number of trials, had a schedule printed and informed interested parties. A closing date for entry and a date for the draw is given, usually about 14 days before the actual trial, to enable programmes to be printed. A draw takes place at a given date and place. Dogs on the day must run in the trial in the order they are drawn for the first two rounds. Being brought in for a retrieve does not constitute a run! If you get a run and are unable to take part, it is only courteous to let the Field Trial Secretary know so that she can inform reserves. Remember, many people give up a days work to participate, and it is only fair to let them know as soon as possible. The most important thing is to enjoy your day, enjoy your dog and the dog work of others, and above all, always be willing to learn. Good sportsmanship and courtesy to our hosts is of paramount importance, especially as they provide us with the land and the birds on which to run our trials. Without their generosity we would have nowhere to prove our dogs innate abilities and enjoy the camaraderie of like minded folk. The Special Water Certificate was brought in to make allowance for those occasions when the water test cannot be completed on the day of the Field Trial, for example the water is frozen or deemed to be unsafe or not available for other reasons. The conditions for fulfilling the special water certificate are include as part of the GSPA’s Standing Instructions.